The Defense Department announced Tuesday that military retirees and survivors will receive an increase in their pay and annuities in 2019. Beginning Jan. 1, most military retirees, enrollees in the Survivor Benefit Plan and survivors of service members who died on active or inactive duty, will receive a 2.8 percent increase to their retired pay, the Pentagon said in a statement. Additionally, survivors who are eligible for the Special Survivor Indemnity Allowance program will receive a 2.8 percent increase, with the maximum amount available reaching $318. The Defense Department calculated the cost of living adjustment based on the increase in the Consumer Price Index for Urban Wage Earners and Clerical Workers between September 2017 and September 2018. Officials at the federal government’s 401(k)-style retirement savings program are reminding service members that they have less than two months to decide whether to opt into the Thrift Savings Plan for matching contributions. Dec. 31 is the deadline for members of the military to decide whether to enroll in the Blended Retirement System. 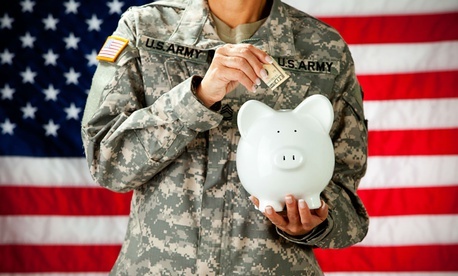 The program offers for the first time an employer match of between 1 percent and 5 percent to the TSP for military members, provided service members accept a less generous annuity calculation if they stay the full 20 years required to earn pension benefits. Blended went live on Jan. 1, and people who joined the military after that date are automatically enrolled in the program. Existing service members who do not opt in by Dec. 31 will be locked into their current retirement savings program with no employer match for TSP contributions. In an effort to inform service members about their options, the TSP has produced a video on the subject, as well as a Q&A about the program to help them make a decision. Meanwhile, the Office of Personnel Management last week announced the establishment of an emergency leave transfer program for federal workers impacted by Hurricane Michael, which made landfall in Florida last month. Emergency leave transfer programs allow federal employees to donate hours of unused leave to their colleagues who live or work in regions hit by natural disasters so they do not need to take unpaid leave to recover from a storm. Acting OPM Director Margaret Weichert said in a memo to agency heads that they can develop a leave bank for their employees to donate to their colleagues in the region impacted by the hurricane, which devastated the Florida panhandle. And she reiterated previous guidance on how agencies can juggle the existence of multiple emergency leave transfer programs, since many agencies already are running similar programs to help federal employees impacted by Hurricane Florence.